It’s nearly August which mean we are just a few short weeks away from the NFL and college football season. If you’re like me, you can be found in front of a TV on Saturdays and Sundays taking in all the action. But do you know what’s better than watching the game inside with some food and beverages? Watching it OUTSIDE with food and beverages. With the right outdoor living design you can invite friends and family over to enjoy the sporting events and movies! Outdoor entertaining is a topic we discuss frequently with our clients. We are always interested to know what type of entertaining they do so we can create a spaced tailored to that purpose. When it comes to hosting sports and movie parties, there are a few items and design ideas that make it even more enjoyable. Something to watch the game on. You can’t watch the game without a screen of some sort, right? Technology has improved and evolved so much that there are a number of outdoor TVs on the market that work beautifully. When designing your deck, porch, or patio, however, you want to discuss with your designer where’d you like it. With the plan in place, cables can be run appropriately. If you aren’t interested in TV, there are also screen and projector options for you to consider! Space. If you want to host friends and family, you need space for all of them to hang out and enjoy the evening outdoors. Let your porch, patio or deck designer know that you need ample room for everyone to view the screen without obstruction. If you like to have large parties, a 6 ft. × 6 ft. deck just won’t do! A fire feature. The best games are often played in primetime and in the fall (and winter in playoffs) that can result in some cooler temperatures outside. An outdoor fireplace or fire pit is a great way to enjoy all the action outdoors comfortably (and maybe with s’mores!). If you want the area to really feel like a room, placing the TV above the fireplace works wonders! Food. What’s a football game or movie without snacks? While your contractor may not be there to help you at kickoff, we can help you now! Here’s an easy recipe for delicious queso for your next party! When you’re ready to have the ultimate viewing space in your backyard, please reach out to your local Archadeck Outdoor Living office. 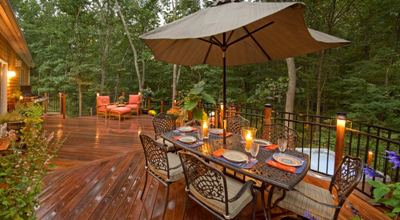 At Archadeck, we pride ourselves on enhancing the outdoor experience for our clients. We want them to use their outdoor living spaces as much as they can and one trend that we’ve seen growing and growing over the last few years is the outdoor kitchen. Outdoor cooking has come a long way in just a few short years. What was once just a grill on the deck or patio is a now a fully functional outdoor preparation and cooking space with grills, sinks, stovetops, refrigerators and more. And they can be custom designed to fit your cooking needs, your outdoor living space, and your budget. Here are three very different outdoor kitchens that fit the needs of the homeowner. This first homeowner has a multilevel deck in their yard. They wanted to transform the lower area into a full outdoor kitchen and dining area. Instead of creating a dining area with a table, they wanted to have an bar to eat at making conversation easy while the chef was hard at work preparing dinner. This family really enjoys cooking, so they wanted more than just a built in grill, they wanted a sink, a stove and a wood burning pizza oven for their homemade pizza. Under the pizza oven is an area for them to store wood. The large U-shape of the kitchen provides more than enough counter space and room for multiple people to prepare meals. This next outdoor kitchen is much simpler than the first, but it was perfect for what the homeowners needed. They were looking for a space for a built-in grill, warmer and some counter space, but didn’t need room for eating. This L-shape kitchen did just the trick and it complements the finish of the patio that it was added to. The patio is made primarily of a grey concrete with some grey pavers in certain areas. Archadeck used stone with grey undertones to make both spaces work together. Lastly, this example is in the galley shape and sits on a covered porch. The homeowners wanted a space that would work as an outdoor kitchen, an outdoor bar and a place to watch TV. The galley layout allows us to provide both along with plenty of counter and storage space. By using the space against the wall as the main cooking area (with a sink, grill and refrigerator) the other side can fit the bar need and face a wall mounted TV. 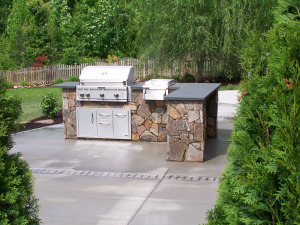 If you are considering an outdoor kitchen for your backyard, please contact your local Archadeck Outdoor Living office. One of our trained designers is sure to design a space that is perfect for you. In the last few years, we’ve noticed an increase in the number of projects that are including an outdoor fire feature, whether it is a firepit of fireplace. It’s not surprising when you look at the American Society of Landscape Architects’ (ASLA) Survey of the top Outdoor Living Features for 2013, firepits and fireplaces is at the top. According to the ASLA, more U.S. homeowners are enhancing the outdoor areas around their home for added entertainment space. Nancy Somerville, Executive Vice President and CEO of the ASLA explains, “in this uncertain economy, homeowners want to get more enjoyment out of their yards. They want attractive outdoor spaces that are both easy to take care of and sustainable.” Source. As people look to improve their outdoor living spaces, it doesn’t surprise us that firepits and fireplaces are at the top of the list of trends. Fire features are a great way to make a space feel more intimate and cozy. 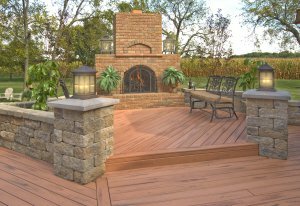 At Archadeck, we see an uptick in interest in firepits and outdoor fireplaces in the fall when the weather begins to cool down. Personally, I love gathering around a fire on a cool fall or winter night with friends and family. 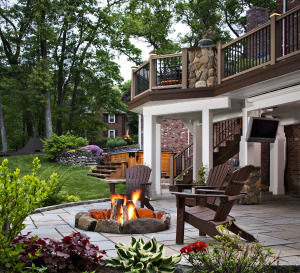 Outdoor fireplaces and firepits are great add-ons to existing structures that will extend the amount of time you can use your decks, patios, sunrooms and other outdoor areas. You may be forced inside as it cools off in September for instance, but with a fire feature, you can enjoy it into November possibly. 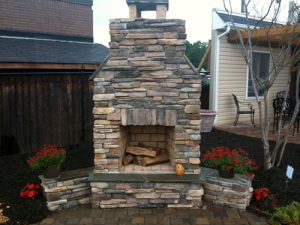 At Archadeck, we custom design outdoor fireplaces and firepits to fit the spaces they are incorporated in. We’ll talk to our clients about how often it will be used, if it should be gas or wood burning and other aspects they may want to include. 2. Grills – Outdoor kitchens are growing in popularity and in most cases the grill is the focal point (you need somewhere to do the cooking, right?). Grills can be as simple or as complex as the client wants. Personally, I just need to know it can cook a mean burger. 3. Seating and Dining Areas – Outdoor living is truly about that, living. A deck or patio without a way to enjoy it is just a structure. The key to making sure that the space is as usable as possible is the design. Talk to your deck builder about how you intend to use the space so the size, shape and flow allow you to have the space you’ve always wanted. 4. Lighting – Gone are the days of floodlights attached to the side of the house. In are the days of beautiful outdoor lighting that accentuates the space entirely. Lighting will also allow you to spend more time outdoors and will illuminate traffic paths for safety and security. 5. Installed Seating – Installed seating can take the appearance of benches, seat walls, ledges, steps, etc. This plays into the seating and dining areas at number three. It is sometimes easier and better to create seating that is installed in some areas as opposed to pieces of furniture. If you have questions on outdoor living spaces, please contact your local Archadeck Outdoor Living office. Whenever we are designing an outdoor living space for a client, we always ask how they intend to use the space. Many of our clients are sure to be using their deck, porch, patio, or other outdoor structure next week to celebrate the Fourth of July. If you are hosting friends and family for the holiday, here are some ideas that may help. Make sure there is enough seating. If you want to keep your party outdoors, you need to make sure there is enough seating to accommodate your guests. We often include built-in benches in our deck designs for those clients who entertain a lot. If you don’t have built in seating, most home improvement stores have outdoor chairs that aren’t too expensive or you can just bring some chairs out from around your kitchen table. As long as you remember to bring them in at the end of the night, you’ll be fine. Think about the traffic flow. Your outdoor living space may be set up perfectly for its everyday use, but it may need some tweaking to accommodate the flow of traffic for your party. Make sure that your furniture allows for people to move around and go to different part of the space. Consider having the food scattered throughout the space so everyone isn’t always hovering in one area. Make sure it is safe. If you have an older deck and you know that there is a good chance a lot of people will be on it at the same time, have it checked for safety. The last thing anyone wants in the middle of a Fourth of July celebration is a deck collapse. Call a professional deck builder and ask them to come out for a deck safety inspection. They will be able to tell you what needs immediate attention and what can wait. Trust us, the peace of mind of knowing your friends and family are safe is worth it. Who doesn’t love a little red, white and blue on the Fourth? Here’s a yummy and easy Sangria that screams Independence Day. Cut up strawberries and star fruit and place in a pitcher. Add blueberries and a bottle of white wine. Refrigerate for at least 12 hours and enjoy! If you aren’t in the mood for hamburgers and hotdogs but want something quick and delicious, flank steak is a great option. It doesn’t take a lot of cooking time and you can’t go wrong with this marinade: 1/2c dry red wine, 1/2c soy sauce, 1/4c olive oil, 4 garlic cloves (peeled and crushed), 1/4c parsley (chopped) and ½tsp black pepper (more if you like). Mix it all together and place in a container with the flank steak and refrigerate it overnight (or at least 10 hours). Your guests will love it. If you or your guests are anything like me, dinner doesn’t feel complete without a little something sweet. Entertaining can be tiring, so make dessert simple. Last year, I was served a Fourth of July kebab for dessert that was delicious. Get some kebab skewers and skewer on some marshmallows, strawberries, blueberries, and brownie or devils food pieces. It’s yummy and patriotic! From all of us at Archadeck Outdoor Living, have a happy and safe Independence Day! The North American Deck and Railing Association (NADRA) declared May as Deck Safety Month back in 2006. 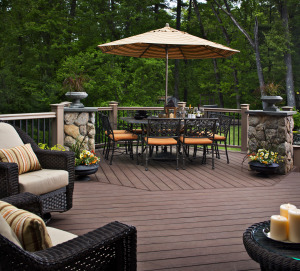 May is the month that many homeowners start to spend extended time outside on their decks as the weather turns nicer. Unfortunately, a lot of homeowners don’t have their deck’s safety evaluated properly. Just because it is standing, doesn’t mean that it is safe! According to NADRA, there are over 40 million decks in the United States that are over 20 years old. This is a scary idea for deck builders like us at Archadeck. Building and code requirements have changed drastically in the last 20 years. Those decks that were built 20 years ago most likely would not be considered safe or up to code by today’s standards. At Archadeck, we suggest having any deck over 7 years old checked for safety. A professional deck builder can come out to home and check all the components of your existing structure. From there, you should get a list of any issues and how they can be addressed. When we do our deck safety inspections, for example, we often find problems with the deck that can be fixed quickly to extend the life of the structure. There are times, however, that we find that it is best to just replace the deck entirely to ensure that those enjoying it are safe and secure. Boards – While most wood decking will show cracks over time, the overall condition of the boards need to be considered. Every Connection – Hardware is key when considering deck safety. Every connection and fastener should be looked at to ensure safety and stability. Structure – What is the condition of the posts, beams and joists that make up the skeleton of the deck? Is there any visible sagging? Attachment – It’s imperative to check how the deck was attached to the house as that is where most deck failures occur. Foundation and Footings – This part of the deck supports the weight of the structure and those who enjoy it. Foundations and footings need to be checked for sinking, sagging and separation from beams. Exits – Are all of the exits from the deck, like stairs and ramps, in good condition? Rails – Check that all parts of the railing system, posts, pickets and balusters, are sturdy, properly built and the correct height. Before you host a barbecue with twenty friends, make sure that you have a deck safety inspection, especially if your deck is more than 7 years old. It will give you the peace of mind that you need to truly enjoy the spring and summer months. 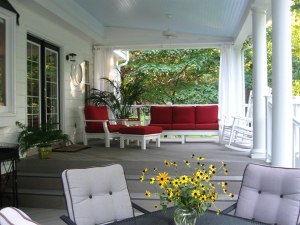 Call your local Archadeck Outdoor Living office to set up an inspection at your home. 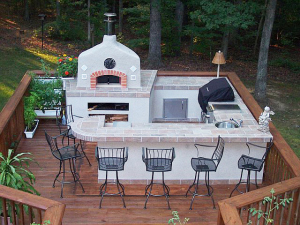 At Archadeck, we love creating custom outdoor kitchen designs that fit our clients’ needs, tastes and budgets. The majority of the outdoor kitchens we build include a built-in grill and counter space. Having a space outdoors to prepare and cook your food is great, but a set of simple tools will enhance your outdoor cooking and dining experience even more. Here are some tools and accessories that we find incredibly helpful. A good grill set. When it comes to cooking outdoors, you need more than just a spatula. At the very least, we recommend a high-quality grill set that includes a spatula, tongs, basting brush and grill fork. There are some sets that have upwards of 10 pieces, but these four pieces will cover the majority of your grilling needs. When choosing your grill set, make sure that they’re sturdy (stainless steel is a popular choice) so they last for multiple seasons. Grill brush. 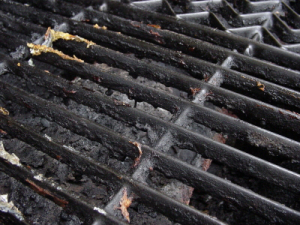 Have you ever looked at a grill that had the burnt crust on the grates? I sure have. That happens when a grill isn’t properly cleaned before or after cooking. A grill brush with steel bristles will remove the majority of if not all built up dirt. The grates should be cleaned off after each use to make it easier as you go. Meat thermometer. This is especially important for those picky eaters. It can sometimes be difficult to determine how well cooked a piece of meat is while grilling. A reliable meat thermometer will ensure your meat is prepared just how you like it. Grill Basket. When it is grilling season, I like to cook the majority of my meal components right on the grill. 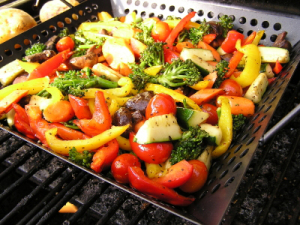 That, however, can be difficult without a good grill basket. Baskets for the grill come in a variety of shapes and sizes. I have a simple square one that I use to cook veggies, but there are options for specific purposes as well, like fish and corn. Baskets make sure that whatever you are cooking doesn’t fall through the grates and become inedible. Barbecue Light. Don’t let the sun going down stop your grilling fun and keep it going with a grill light. Custom outdoor kitchen designs often include some type of lighting component, but there are plenty of light fixtures that are specifically designed to be around the grill. When looking for one, make sure that they are indeed built to withstand the heat (there are specific barbecue lights, like these, that are made for grilling). Unbreakable dishes and glasses. For me, it’s always easier to use unbreakable dishes when entertaining or eating outdoors. You never know when something may slip and fall and it’s more difficult to clean up glass outside than in. Just because you aren’t using glass dishes doesn’t mean you have to abandon your sense of style, however. There are a ton of great outdoor dishes, like these options from Pottery Barn. Melamine and plastic are both good materials for outdoor dining. These are just a few of the outdoor cooking accessories that are available, but we at Archadeck are big fans of anything that makes your outdoor living experience more enjoyable. 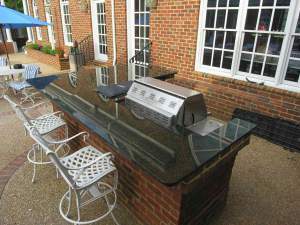 If you have questions regarding outdoor kitchens, contact your local Archadeck office. Ninety-seven percent of respondents rated fire pits or outdoor fireplaces as in demand. We’ve discussed the growing popularity in fire features over the last few years. As outdoor living spaces have evolved into true extensions of the home, we see that outdoor fireplaces are being added to include the homey feeling outdoors. 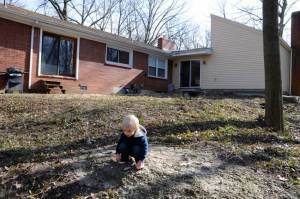 Not to mention they allow homeowners to use the space well into the fall. Who doesn’t enjoy bundling up by the fire and enjoying s’mores or hot cocoa? I know I do. Rated just under outdoor fireplaces and fire pits were grills. 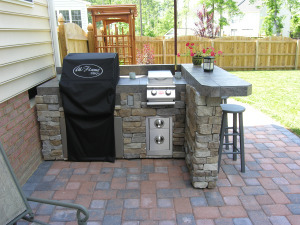 Grills have been popular additions to outdoor living spaces for years. When it comes to grills, and outdoor kitchens, the possibilities are endless, but they should also be planned for. We’ve all seen grills that are placed on a deck or patio but don’t really seem to have a place. Even if the grill isn’t built into the outdoor structure, make sure to tell your patio or deck builder to create a space for the grill. When it has a designated space, it increases the flow and design of the space. Third and fourth on the list were seating and dining areas and outdoor lighting. This doesn’t surprise us at all. For an outdoor living space to be an extension of the home and to be used, it has to have purpose. No one spends time in the empty rooms of their house, why would they outside? When considering adding a deck, porch, patio, sunroom, screened porch or other outdoor structure to your property, make sure you tell the designer how you intend to use the space. You may find that you want separate areas for different purposes: one place to sit and read a book and another to dine with friends and family. And, if you want to use the space after dark, add outdoor lighting. Outdoor lighting can be added to outdoor living spaces at any time in most cases, but will be more seamless if you plan to add it while the project is being built. 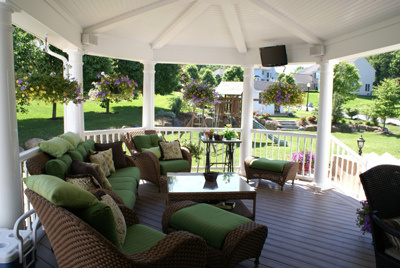 If you are interested in enhancing your outdoor living spaces, contact your local Archadeck office. And in case you’ve forgotten, it’s not to late to enter Archadeck’s Dream Backyard Makeover Contest! The first set of finalists will be announced in just a few days. 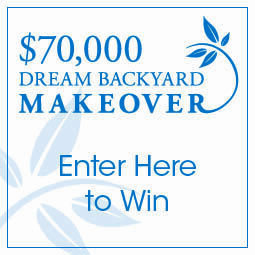 Make sure to submit a photo of your backyard and let us know why your yard deserves the $70,000 grand prize! This past weekend brought my college reunion. To make sure that we got the most out of having everyone in one place at one time, a friend of mine hosted a barbecue on Saturday. He has a large deck that provides a great place to sit back and relax, but what we learned was it wasn’t great for entertaining 15 or so people. To make sure that our host wasn’t doing all the work, all of our friends brought food to snack on or throw on the grill. The problem was there wasn’t a convenient place to put it all. There is a small table outdoors that could fit some of the food, but everything else was balanced on the railing of the deck, resulting in some close calls for the burgers. Whether it’s the lawn, bathroom or furniture, the host of this party is constantly updating his house. During the party we talked about his plans for the future and he mentioned that he’s interested in adding an outdoor kitchen to make it easier in the spring and summer months when he grills out four or five times a week. Outdoor Kitchens have become more popular in the last few years as people have looked to upgrade their outdoor living spaces. They provide the perfect place to prepare food for friends and family when the weather is nice and can be as multi-purpose as you’d like. While many outdoor kitchens have some counter space and a grill, refrigerators, sinks and ice makers are becoming more popular for added convenience. If having a place for your friends to sit and chat with you as you cook is important, an eat-in bar can be added as well. This L-shaped outdoor kitchen includes a built-in grill, burner and seating to provide a lovely place to prepare food for friends and family. It’s finished with stone and tile for a clean look. 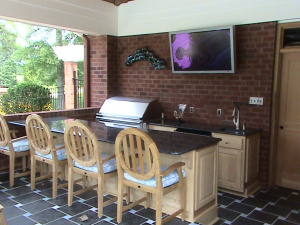 The brick base of this L-shaped outdoor kitchen complements the brick finish of the home perfectly. It has granite countertops for easy clean up and a built-in grill and warmer. 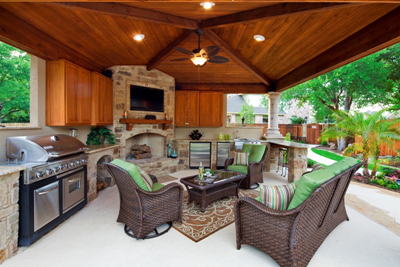 Who wouldn’t enjoy an outdoor kitchen like this? This a classic galley style kitchen. Since it is under a porch providing some protection from the elements, a TV is mounted to the back wall for the viewers pleasure. It has a gas grill, sink and dishwasher so you don’t have to carry the platters, dishes and utensils back and forth. Instead, what’s meant for outdoor dining can stay outdoors. Lastly, this is a custom-shaped outdoor kitchen with everything that a chef may need. Not only does it have, a grill, sink, burner and dishwasher, it also has a wood burning pizza kitchen for that perfect pizza. Yum! With outdoor kitchens like this, I’m not sure I would need an indoor kitchen (just kidding). If you are interested in learning how an outdoor kitchen could be added to your space outside, please contact your local Archadeck location. This past Tuesday I got together with a bunch of my girlfriends for dinner. It had been a while since we were all in the same place at the same time, and we decided to take advantage. We all went over to my friend Kerri’s house where we prepared the food together while nibbling on appetizers and sipping on some cocktails. It was a great time until I realized, there really wasn’t a whole lot of room in her dining room for all of us. Just when I was about to say something, Kerri ushered us outside. Off the back side of their house, Kerri and her husband have small deck that is set up perfectly for outdoor entertaining. It has a large dining table that easily fit 8 chatty ladies and the tree lined fence along the side of the yard provided privacy. It was lovely. Outdoor rooms, as opposed to just some plastic furniture on a deck, porch or patio, have been gaining popularity in recent years. With all of the furniture and accessories that are now available from both big box stores and specialty store, it is easy to create the same homey feeling you have indoors, out. In the case of Kerri’s outdoor dining room, the table was lovely and she had placemats and accessories that were made to stand up to the natural elements. She finished off the space with candles and flowers that made it feel like a true room. Yes, the July 4th holiday has come and gone once again. 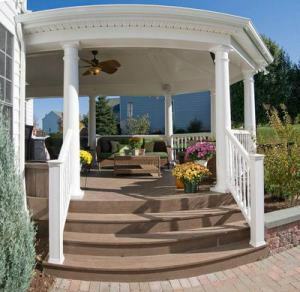 As the nation celebrated its birthday, was your outdoor structure worthy of the celebration? 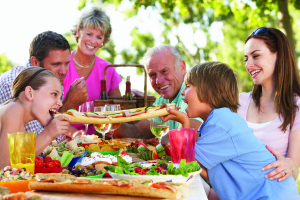 Many of us had outdoor get-togethers and cookouts to celebrate the holiday, many of those celebrations were conducted in or on an outdoor structure that is a little worse for wear or is not as functional as you wished it could be. Don’t let another holiday leave you feeling unfulfilled with your outdoor structures appearance or lack of functionality. Archadeck can transform your backyard into a space worthy of celebration with the help of our new design guide. The design guide covers all the major considerations that go into proper planning and design of an outdoor living space. The first of which asks the question of functionality. What do you want your outdoor space to be used for? Whether the answer to that question for you is entertaining, dining or just relaxing the design guide focuses on the form and function that would work best for you. Since outdoor structures are our specialty our design guide also asks the question of how “outdoorsy” you would like your outdoor space to feel. Many homeowners like the look of the outdoors and the feel of the outdoors but not the insects and the suns harmful rays that sometimes come along with it. 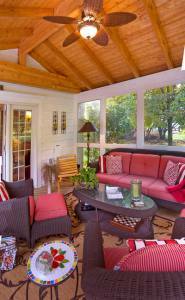 One of Archadeck’s screened porch or covered porch designs might be a solid choice for this scenario. Our design guide outlines key considerations like this in a step-by-step manner outlined to ultimately bring you to the recommendation of what outdoor space would be perfect for you. Many of us have a “wish list” that we carry around either in our minds or actually written out of ways to make your outdoor space better, or even creating the outdoor space of your dreams from scratch.The design guide shows you how to create the outdoor space you have been craving with an easy step-by-step process that defines key components focusing on your individual needs. With this design guide Archadeck can help you choose the outdoor structure, or structures that is best suited to you and your family and then goes a step further to set the wheels in motion to meet with one of our talented design consultants for a free consultation based on the areas covered in the design guide. 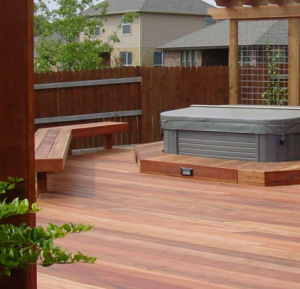 Archadeck is the leading designer and builder of affordable, functional and innovative outdoor spaces since 1980. Whatever your dream, we can build it. Whatever your need, we can build it. Whatever your want, we can build it. The sky is the limit when it comes to the uniqueness and functionality of our outdoor spaces. Our design guide puts you in the driver’s seat. Visit http://www.archadeck.com/guide/index.html to download your free design guide and learn what we mean when we talk about the Archadeck difference. At least 30 deck collapse-related deaths reported. More than 75 percent of people on a deck are injured or killed when it collapses. Decks and patios are a natural spot were many people congregate to either share a meal, enjoy a party, or countless other reasons. A deck collapsing in the middle of a dinner party would be quite a mood killer! So if your deck is in need of a repair or maybe you are looking into purchasing a new one, check out Archadeck.